I have a quick swatch post to share with you today! 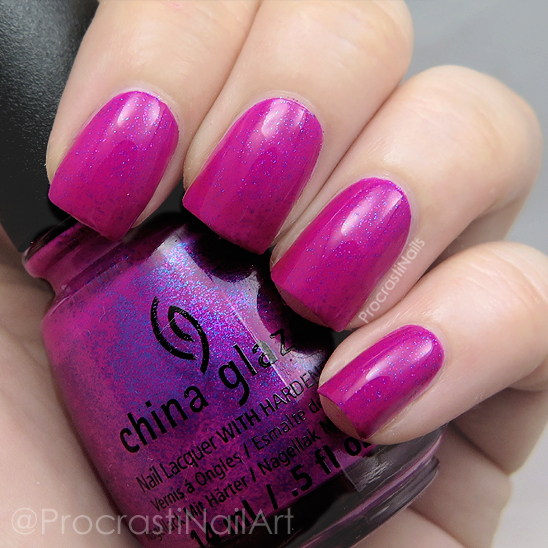 This lovely is China Glaze Flying Dragon, which is one of those polishes I knew by name but never bothered to pick up for myself until recently. If I was naming it I would have gone with something different I think, though... Something with the word raspberry in it maybe? Flying Raspberry? The Raspberry Dragon? Maybe it's a good thing I'm not the one naming polishes haha. I would call this a vibrant purple-leaning pink crelly, and as you can see above it's liberally scattered with blue and magenta glitter. It took three coats to build up and as it is in the neon family it did originally dry matte. I have two coats of top coat here to smooth it all down and really show off the colour. Overall I think it's a lovely colour and the glitter really adds something extra. :) I think it'll be a good pedi colour for summer, too! Is this a shade you would rock? Or one you already own? Let me know! 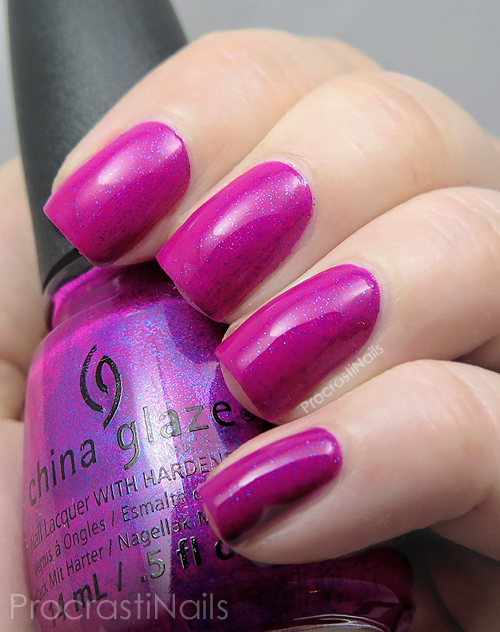 Such an interesting shade with the glitters in it. Great swatches of it. Very pretty! It's my kind of punky fun polish!! This is such a fun color! I meant to hunt this one down when it was available. I think it's a bit late now. I think I need this! So unique and pretty. I love it! So bold, so happy, so summer!